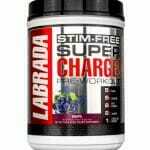 Creatine is the most popular and commonly used sports supplement available today. There are numerous studies backed by anecdotal evidence that support the efficacy of creatine supplementation. For the majority of the population, including both elite athletes and untrained individuals, creatine supplementation increases fat free mass and improves anaerobic and possibly aerobic performance. While the effectiveness of creatine is well known, the most effective way to take creatine is not known. In order to design an “optimal” cycle for creatine, a number of factors must be considered. A French scientist discovered creatine in 1835. Creatine is a natural constituent of meat, mainly found in red meat. Creatine is manufactured naturally in the body from the amino acids glycine, arginine, and methionine. This process takes place in the kidneys, liver, and pancreas. Approximately 40% of the body’s creatine stores are free creatine (Cr), while the remaining 60% is stored in form of creatine phosphate (CP). The typical male adult processes 2 grams of creatine per day, and replaces that amount through dietary intake and fabrication within the body. Creatine is used for the resynthesis of ATP. ATP, or adenosine triphosphate, is the “power” that drives muscular energetics. When a muscle is required to contract, the bonds in the ATP molecule are split, yielding ADP (adenosine-diphosphate). The energy released by breaking this bond powers the contraction of the muscle. When ATP is depleted within the cell, the cell can no longer contract. There are several methods by which the body rebuilds ATP. The fastest method, without oxygen, is through CP. Creatine phosphate is “split” to yield the phosphate portion of the molecule. This phosphate portion bonds to the ADP, turning it back to ATP. Once CP stores within the cell are depleted, the body must use other methods to replenish ATP. Supplementation with creatine increases Cr and CP within the muscle, allowing further capacity to regenerate ATP. In other words, the creatine enhances the ability of the muscle to maintain power output during brief periods of high-intensity exercise. The periods are brief because the ability of a cell to store CP is limited, therefore the body will quickly move to other methods of replenishing ATP. The majority of studies regarding creatine supplementation have used creatine monohydrate, the form of creatine bound to a water molecule. Some studies suggest that the combination of creatine and carbohydrate will enhance absorption or “uptake” of creatine. Science shows that creatine is unstable in liquid form, meaning that serum or liquid delivery systems are currently not supported by scientific literature. The creatine rapidly degrades to creatinine, which is not useable by the body. There is very little support for the notion that creatine in any type of mixture, including an effervescent mixture, is absorbed more efficiently by the body. A company known as Albion Laboratories, Inc. claims to have found an effective delivery mechanism by chelating creatine to magnesium (a chelate is an organic compound that is typically absorbed more readily by the body than individual elements). What Is The Most Effective Creatine Dose? Thus, an individual weighing two-hundred (200) pounds would require 200 lb * (1 lb / 2.2 kg) * 0.3 g = 27 grams per day for the loading phase, then 2.7 grams per day for the maintenance phase. Calculate this for yourself below. It is known that creatine supplementation increases intramuscular creatine stores. To base creatine dose on total weight, therefore, seems inaccurate. A 200 lb individual with 20% body fat would have less lean mass than a 200 lb individual with 8% body fat. The common mechanism for creatine supplementation is known to be the increase of intramuscular creatine stores. It is known that CP is used to replenish ATP, and that the amount of CP naturally present is well below the maximum amount of CP that the body can store. Increasing dietary creatine allows the maximum amount of CP storage to be reached, which in turn provides more capacity to regenerate ATP. An interesting effect of creatine supplementation appears to be enhanced ability for the muscle to store glycogen. Glycogen is a form of carbohydrate stored inside the muscle that is used to fuel anaerobic activity (i.e. activity that is too intense to allow the cardiopulmonary system to deliver adequate oxygen). The ATP-CP pathway is used during the initial few seconds that work is performed. The next dominant system uses glycolysis, which requires glycogen to fuel activity. After several seconds to a few minutes, the dominant system becomes the oxidative or cardiovascular system – in other words, aerobic exercise. 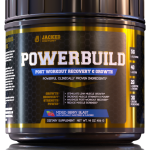 Many studies have shown that replenishing glycogen stores may aid recovery and hypertrophy (muscle growth). Bodybuilders use a protocol known as “carb-loading” to supersaturate their muscles with glycogen. Glycogen requires water to enter the muscle cell, therefore having higher glycogen levels means more fat-free mass and larger, fuller muscles. If creatine does indeed increase the amount of glycogen storage achievable through super compensation or “loading”, it stands to reason that a well-timed creatine cycle in conjunction with carb-loading will not only create incredible muscle fullness, but also potentially create an environment suited to optimal muscle growth. It should be noted that the super compensation was most pronounced when performed following a period of creatine supplementation, not during the initial period of supplementation itself. An interesting effect of creatine supplementation is possible interaction with satellite cells. There are several different fiber types used to classify muscle tissue. In general, muscle tissue can be considered “endurance” fiber – able to perform multiple repetitions and highly resistant to injury – or “explosive” fiber – able to perform maximal workload for a short duration of time and highly susceptible to injury. There is a special type of muscle fiber known as “transitional fiber”. This fiber can be considered the “fight or flight” fiber – despite an individual’s lack of overall fitness, when faced with a potentially dangerous situation, these fibers can “activate” to provide enormous bouts of strength. These fibers are easily damaged, but it has been shown that if cortisol levels are blocked subsequent to this damage occurring, instead of being “swept” away by the body, these cells fuse with “satellite” cells. Satellite cells are special structures that are not true muscle cells until they fuse with transitional cells. The resulting cell is much larger and stronger. If these transitional fibers are appropriately activated and subsequent cortisol levels appropriately managed, creatine supplementation may help induce a significant hypertrophy effect. What Training Protocol Is Most Effective With Creatine? Intensity, in other words, maximal or sub-maximal output duration and repetition – in other words, multiple bouts of work more than likely, these factors are what provided the success of one study, which concluded that enhanced performance and increase of lean mass were due to “higher quality training sessions .” These sessions would include moderate to high intensity weights, and moderate to high volume with multiple sets. Is Creatine Supplementation For Everyone? Creatine supplementation may not be effective for everyone. There are possible safety concerns with creatine supplementation that will be discussed later. Due to the mechanisms by which creatine supplementation works, it may not be effective for endurance athletes to supplement with creatine. 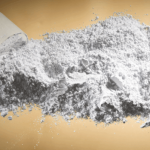 A significant percentage of the general population appears to have no response to creatine. 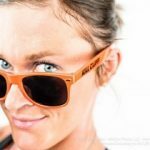 People on vegetarian diets seem to have a greater response to creatine, theoretically due to the lack of dietary creatine intake. From this, it can be inferred that individuals who consume large amounts of protein on a daily basis, especially red meat, will have a less significant response to creatine supplementation to the amount being ingested through typical dietary means. It is interesting to note that most creatine research uses the standard protocol of 5 g / d for “maintenance”. Anecdotal evidence suggests a high rate of success with creatine supplementation. This same evidence indicates that doses in the field are much higher than the established research protocol or recommended label amounts. This may account for a higher anecdotal rate of success and perceived effect in the field as opposed to what is suggested in the literature. Anecdotal evidence is not a substitute for scientific research, but should be taken into account. What happens in “the real world” is much more important than what occurs in isolated, scientific trials when trying to make a “real world” application of creatine supplementation. The majority of studies indicate that supplementation with creatine for prolonged periods of time using large doses are safe. One study concluded that supplementation from nine (9) weeks up to five (5) years did not adversely affect renal function . 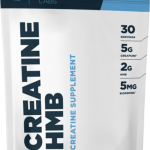 Yet another study examined muscle damage, hepatic (liver) and renal (kidney) function, and found no adverse effects from creatine supplementation. There is potential cause for concern, however. The by-product of creatine use in the muscle is creatinine. Creatinine is typically harmless, and is flushed by the kidneys. When the kidneys are not functioning properly, however, any type of excess strain can cause problems. Creatinine levels are typically used to monitor kidney function, and creatine supplementation will raise these levels. A study done on animals with existing kidney problems showed that creatine supplementation aggravated and increased the acuteness of these conditions. Therefore, creatine supplementation may not be wise for individuals with renal disease or dysfunction. The largest safety concern with creatine is most likely the quality of the product. Creatine is manufactured from sarcosine and cyanamide. During the production of creatine, contaminants such as dicyandiamide, dihydrotriazines, creatinine, and various ions are produced. Supplementation with large doses for prolonged periods of time with a product that has not been sufficiently screened for contaminants could be cause for concern. 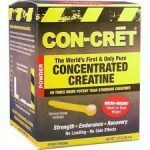 Finding a reputable company that provides quality creatine product is very important when considering creatine supplementation. Creatine is mainly discussed with reference to its effect on anaerobic output, specifically in the ATP-CP and glycolytic range of muscular energetics. It is important to note that a few studies do support ergogenic effects on oxidative (aerobic) systems as well. One study showed that creatine supplementation reduced the “oxygen cost” of activity, meaning that less strain was placed on the cardiovascular system when performing aerobic work after creatine supplementation. Another study, performed on animals, concluded that creatine supplementation increases the oxidative potential of cardiac muscle. Both of these studies seem to indicate increased aerobic capacity. For an individual concerned with fitness, this is very important information. If creatine increases aerobic capacity, creatine supplementation could potentially increase the amount of workload performed during cardiovascular sessions. This would mean more caloric output. 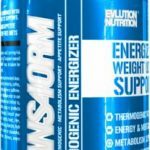 Combined with resistance training and proper nutrition, the end result would be a net loss of body fat (combined with an increase in lean muscle mass as evidenced by the other effects of creatine supplementation). This is a powerful combination of effects! So What Is The Ideal Creatine Cycle? Based on the information provided here, I propose the following cycle. The length of an ideal cycle would be relatively short. Many studies suggest that the main response to creatine supplementation occurs during the first week, with subsequent weeks of supplementation rendering no significant increase of performance or mass. Research is very limited with regard to extended cycles at high doses, however. The cessation of ergogenic effects seems to correlate to the end of the “loading” phase. It is therefore suggested that an extended loading phase may prolong the ergogenic effects. It is also important to cycle off of the product for a prolonged period of time, due to the high dose of the cycle and the potential for contaminants in the product. From these guidelines, the following cycle can be extrapolated. First, the cycle will be short, only 4 weeks in duration. It will involve a rapid “ramp-up” with a corresponding “ramp-down” of creatine and incorporate glutamine supplementation. Nutrition will be manipulated to favor hypertrophy during the first 3 weeks, then take advantage of super compensation and unloading for the final week. First, determine a baseline creatine dose. For the average individual, this is proposed to be 0.3 g / kg lean mass. 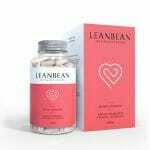 For vegetarians, consider 0.4 g / kg lean mass. For those with predominant protein (35% of total calories or higher) in the diet, and those who consume at least 1 portion of red meat daily, consider 0.2 g / kg lean mass. A discussion of glutamine is outside the scope of this article. The proposed dose is 0.3 g / kg lean mass. An example individual weighs 180 pounds at 12% body fat. Lean mass is determined to be 158 pounds, or 72 kg. The individual has predominant protein in their diet and consumes red meat frequently. Therefore, the baseline creatine dose is computed to be 72 kg * 0.2 g / kg = 14 grams. Glutamine dose is set at 72 kg * 0.3 g / kg = 22 grams. Glutamine will be divided into 3 doses: pre-workout, post-workout, and pre-bedtime. This equates to 7 grams pre-workout, 7 grams post-workout, and 8 grams pre-bedtime. Creatine: 5g post-workout, 2g before bed. Glutamine: 7g pre-workout, 7g post-workout, 8g before bed. Creatine: 11g post-workout, 3g before bed. Creatine: 16g post-workout, 5g before bed. All supplementation ceases (cycle is complete). This equates to 544 kcal of energy. Post-workout shakes should be consumed immediately subsequent to bouts of resistance training exercise. The subject should be in a hypo caloric state throughout the cycle (taking in more calories than expended to induce muscle growth). This would preferably involve a zigzag of calories, with higher calorie days coinciding with resistance training. Protein intake should be considerable to accommodate increases in muscle mass. Nutrition requirements vary widely from individual to individual, so no example menu is provided. One important factor for consideration is the super compensation phase. After the third (highest) week of the cycle, a period of low carbohydrate intake should ensue. This period should last approximately three (3) days. The purpose of this period is to deplete muscle glycogen stores. The third day will consist of an “unloading” workout; a full-body regimen designed to fully deplete intramuscular glycogen. Protein should be increased while carbohydrate is reduced to maintain consistent overall caloric intake. After the unloading workout, carbohydrate will be increased to 150% of the original levels and protein reduced slightly to allow super compensation. This period will last 2 days, and then the diet will resume to normal. If a typical intake were 200 grams of protein and 200 grams of carbs, this would shift to 325 grams of protein and 75 grams of carbohydrate during the carb-depletion phase (as an example). During the super compensation phase, the subject would consume 100 grams of protein and 300 grams of carbohydrate. 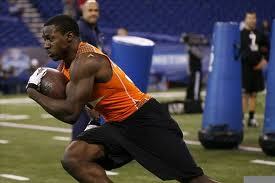 40 reps at 110 pounds – slow tempo (3 seconds down, 2 seconds up). The mega-set is performed with minimal rest – only enough time to strip the weight between mini-sets. After a mega-set, rest no more than 1 minute and repeat the mega-set for a total of three (3) times. Note that these reps are general guidelines. A person with predominantly slow-twitch (endurance) fiber in their chest would have higher reps and may only perform 2 sets, as opposed to another individual with explosive fiber in their chest. 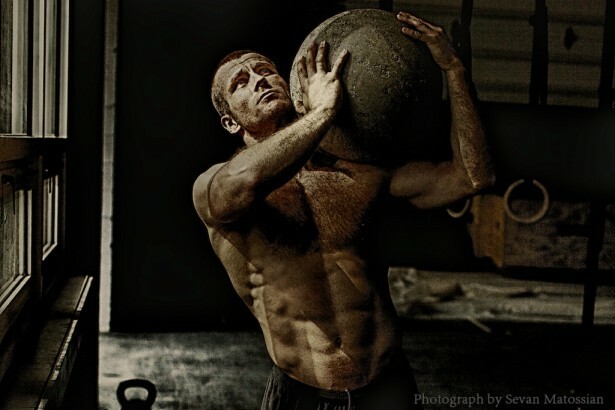 The “unload routine” should contain mostly multi-joint, compound movements, such as squats, dead-lifts, bench press, clean and press, wide-grip pull-ups, and bent-over rows. Multiple sets of higher reps (15 – 20) should be performed in superset fashion with minimal rest. The final rest period prior to the end of cycle will allow recovery while in a super compensated state. This could lead to significant hypertrophy.